Geared to seasoned fundraising professionals, the Ask Without Fear radio show features the best and the brightest authors, bloggers, and practitioners in the nonprofit arena today. 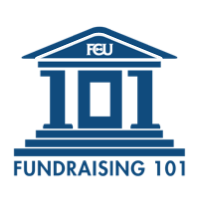 This show is designed to be both a dose of inspiration and an hour packed with very practical tools and tips to help you raise more money for your favorite cause. For a full list of past shows, go to The Ask Without Fear Radio Show list. People everywhere are talking. But who's telling your story? AND, are they saying what you'd hoped they would? Check out Marc's new nonprofit marketing webinar to learn how to tell your story well!